This is the third post in a four-part series spotlighting bar exam-relevant databases. 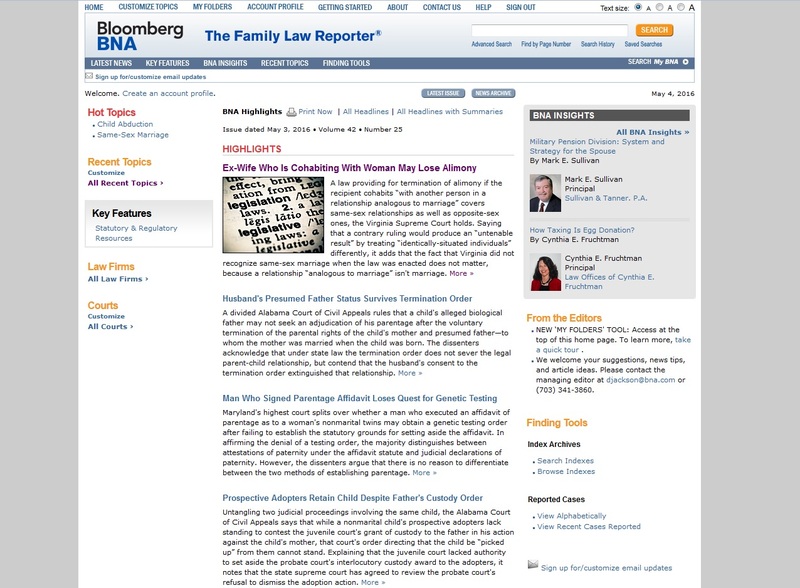 The Bloomberg BNA Family Law Reporter is published once a week, each Tuesday. The front page of the Family Law Reporter contains all the headlines from the weekly edition and a complete topical index below, where readers can single out articles concerning specific topics, from Adoption to Wills & Estates. 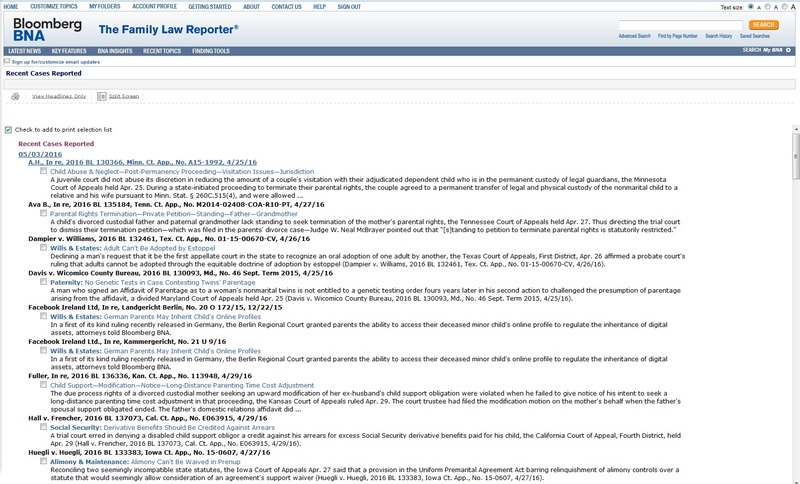 Using the left side menu, readers can further search through recent topics, law firms mentioned in articles, and by court. All the links take the reader to a separate landing page, where subjects are alphabetized (shown below). Alternatively, readers exclusively seeking information concerning recently reported cases can do so through clicking the “Finding Tools” link, located on the blue menu bar, and selecting “View Recent Cases Reported”. Each case is provided with a short, one to two sentence summary (shown below). 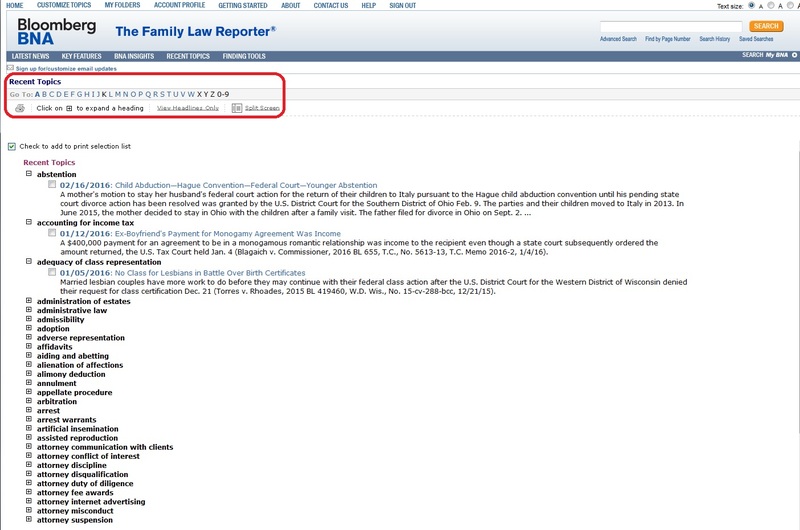 Access to Bloomberg BNA’s Family Law Reporter is available through the Texas Tech Law Library website, under the Electronic Resources tab.